You may remember reading about the Gourmet Soup Party I hosted a few weeks ago. 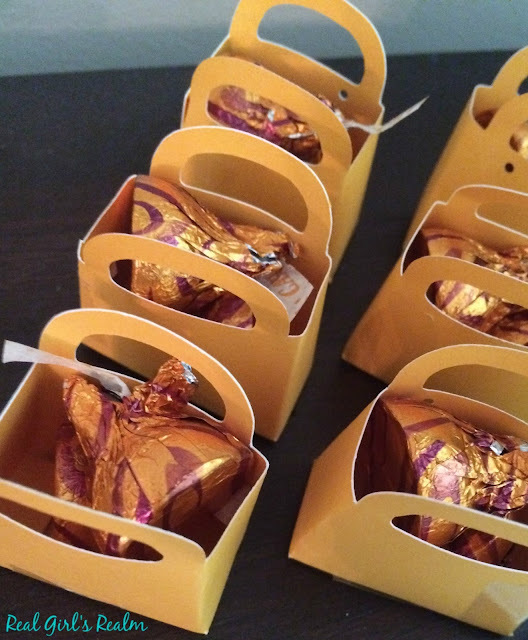 I wanted my guests to leave with a sweet treat after trying the soups, so I used my Cricut Explore to create these cute paper boxes to hold a couple of caramel kisses. 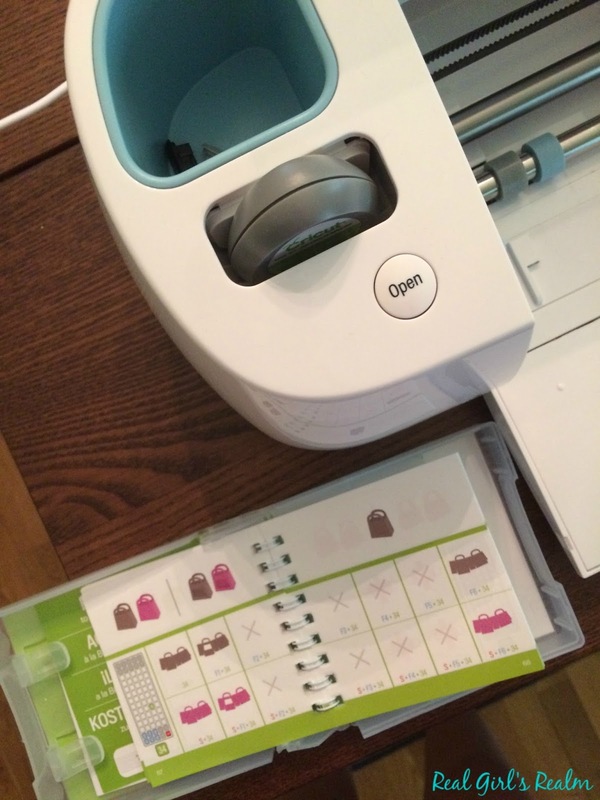 Did you know you can still use the cartridges with the new Cricut Explore? I received three different cartridges in my Cricut Mystery box and one of them contained boxes and gift tags. I settled on a box design that looked fairly straight forward, after flipping through the booklet. All you have to do is insert the cartridge into the top of the Cricut Explore and select Link Cartridges under the Log in Menu. Open the Design Space software and start a new project. You can select your desired project by searching Cartridges under the Insert Image link. I just copied the image multiple times until I had the desired amount of treat boxes. 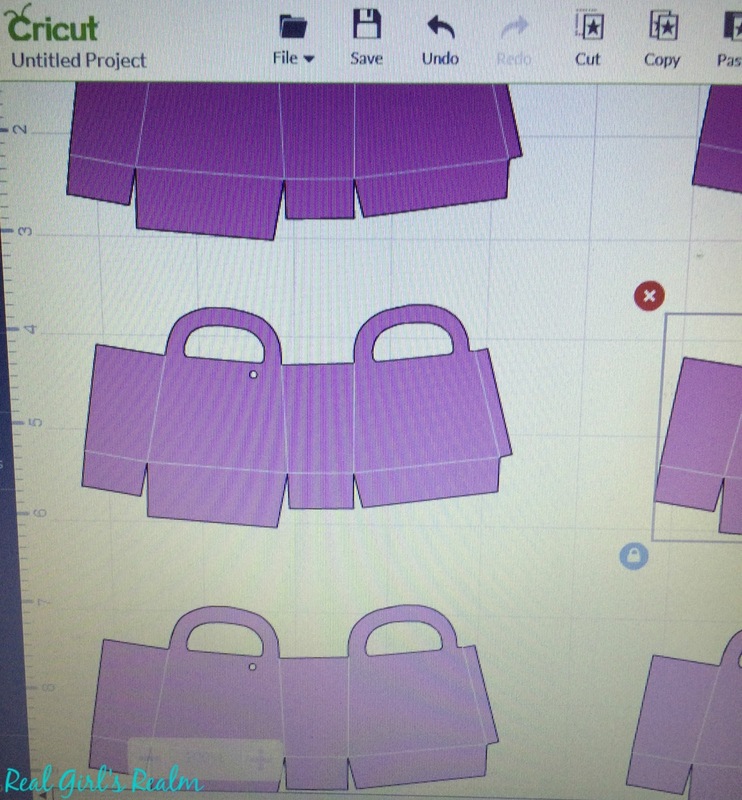 Follow the instructions for cutting your project. Weed them off the mat and fold the boxes according to the cuts. I used a couple of pieces of tape on the side and bottom to make sure it was secure. If you follow me on Facebook, you may have caught the video I made that showed how I assembled one. You can still head over to my page at Real Girls Realm and view it if you wish! I then put 2 kisses in each of the boxes and set them up at the end of my soup table. The boxes also have a little hole so you can add a ribbon and gift tag if you wish, although I did not this time. 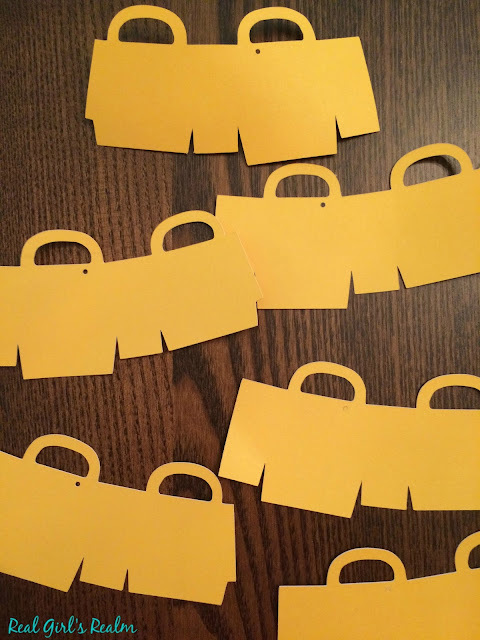 This is an easy party favor that you can customize for any occasion. 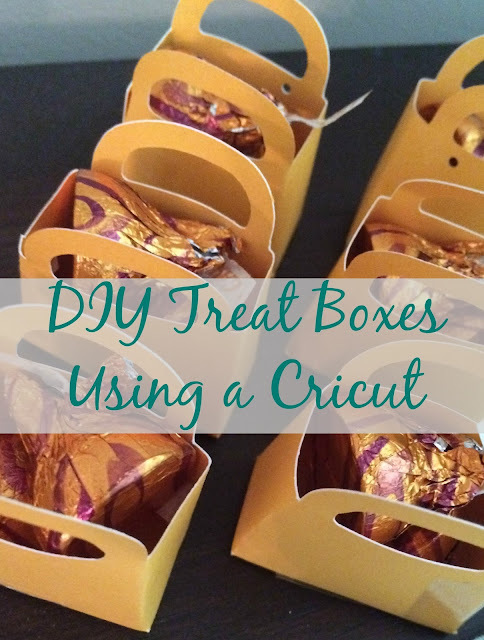 What would you put in these treat boxes? I love how these turned out! I have a Silhouette and I always forget about using it for paper and card stock crafts, I usually cut vinyl on it! Very cute!! Carrie, I need to practice some more, but I think I will use it a lot! These are so cute! They turned out great.